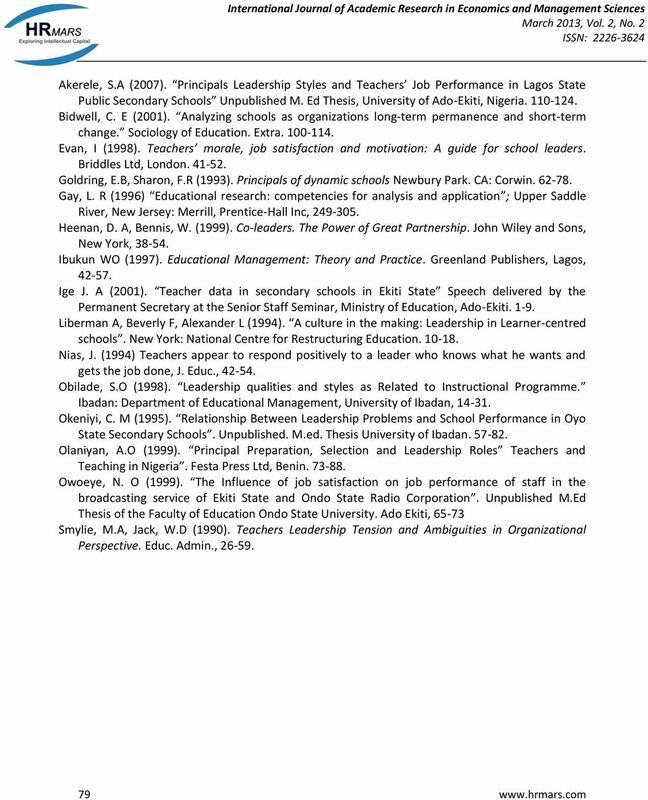 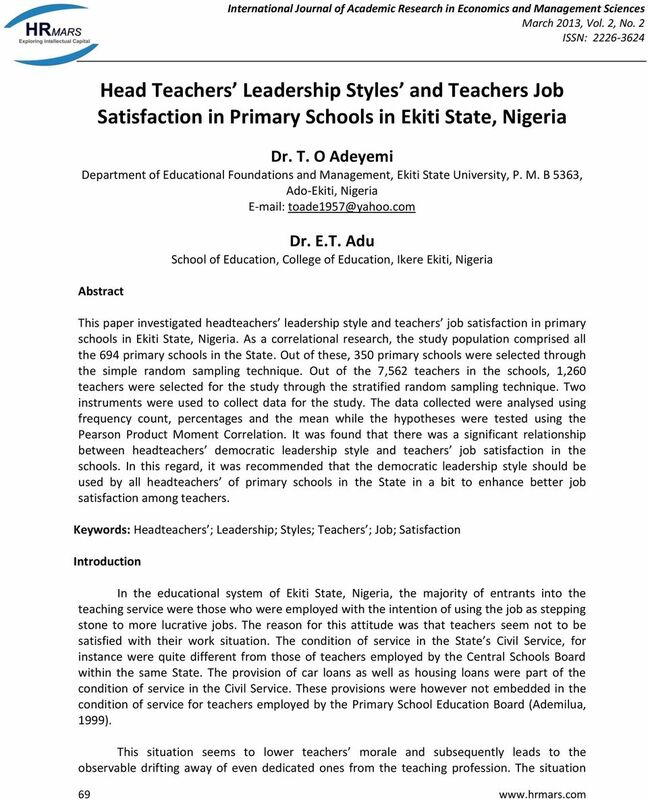 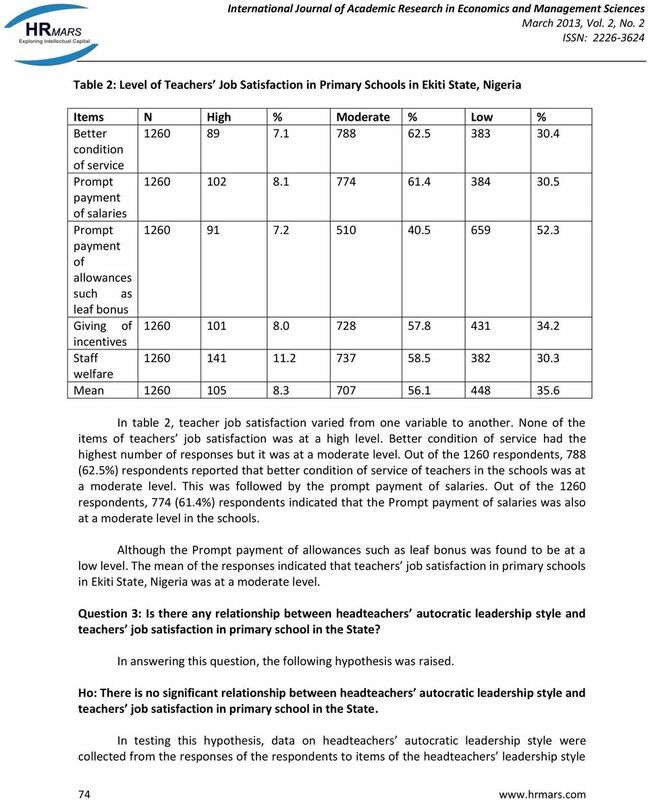 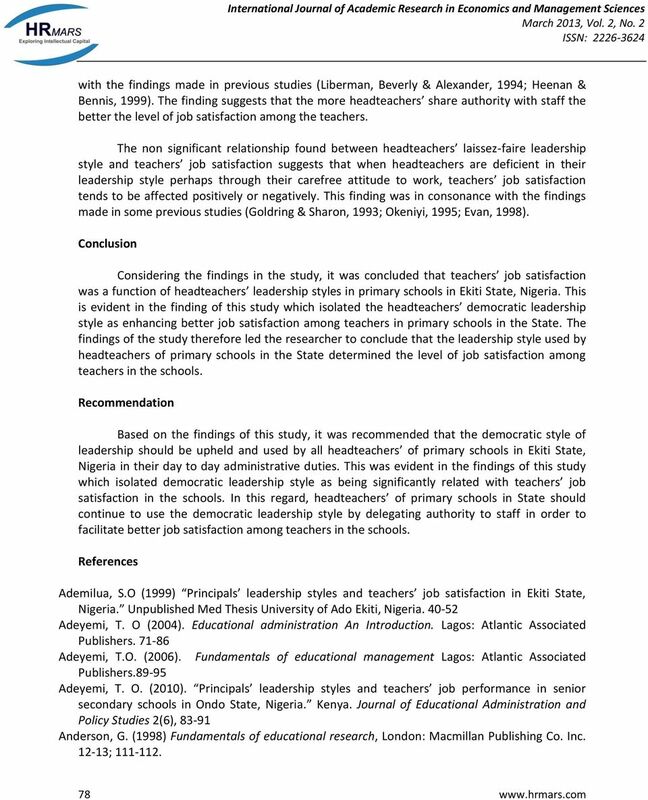 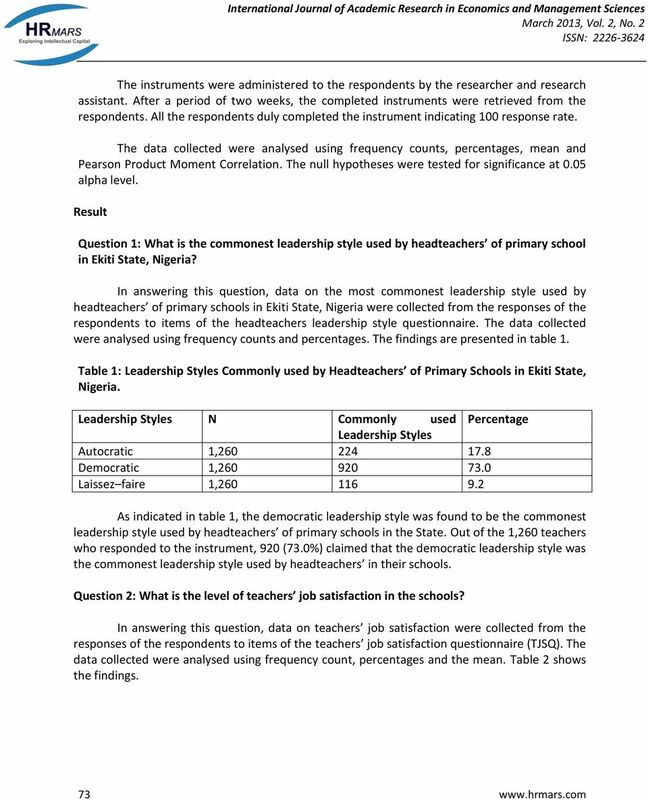 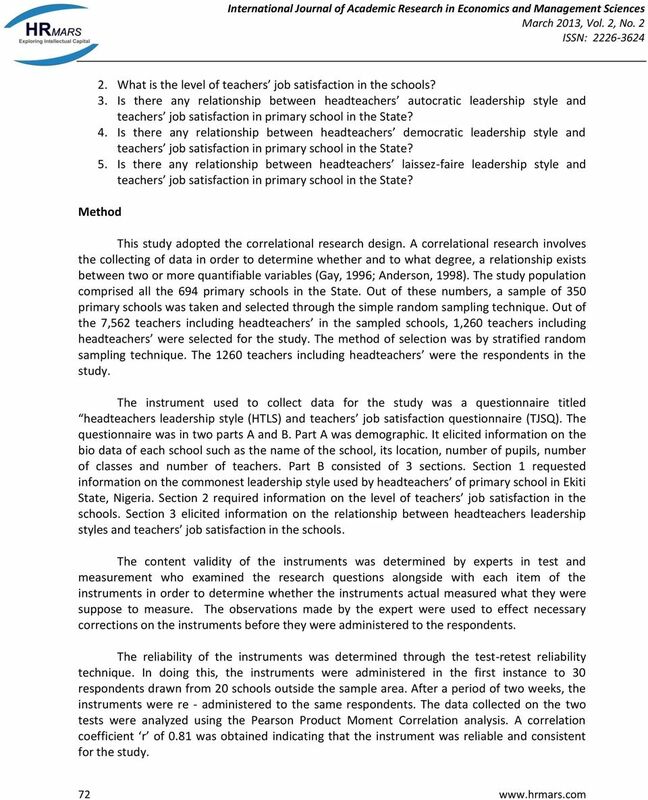 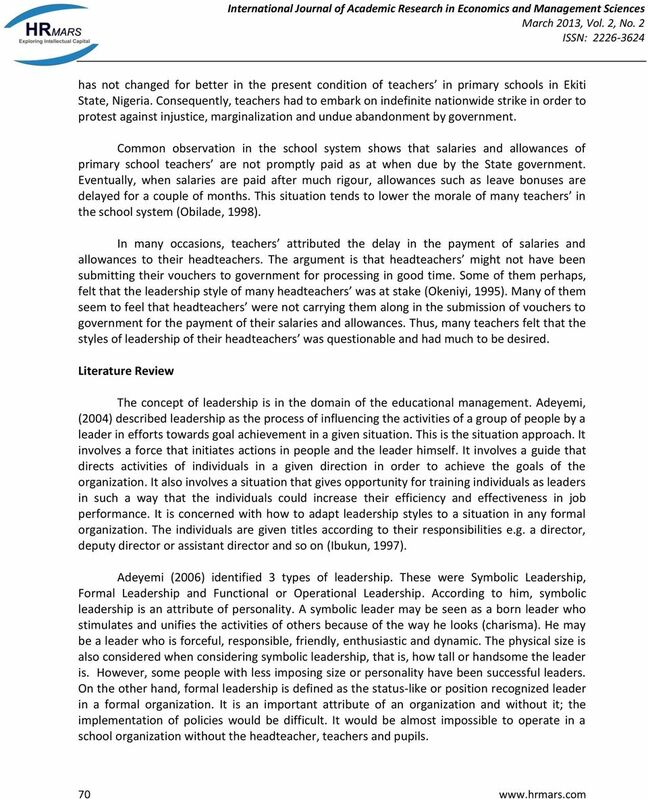 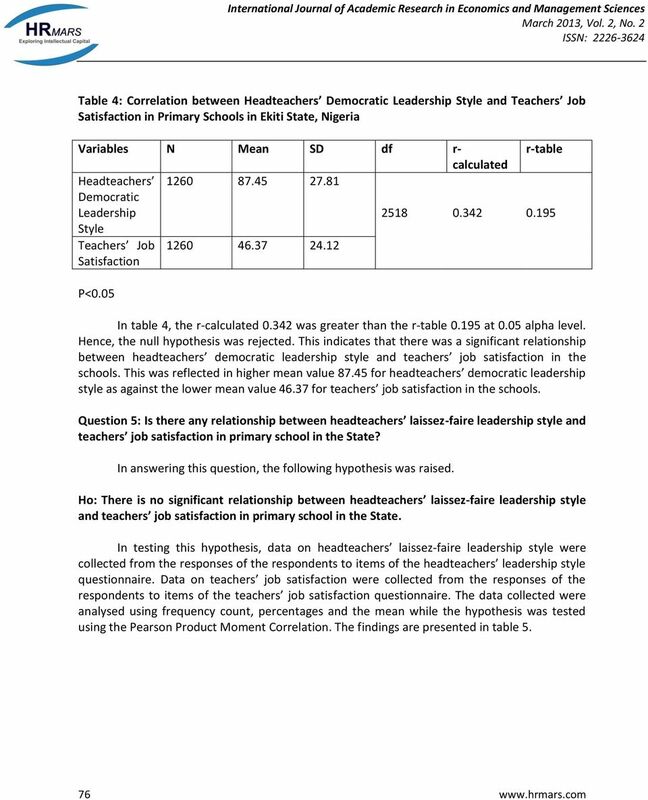 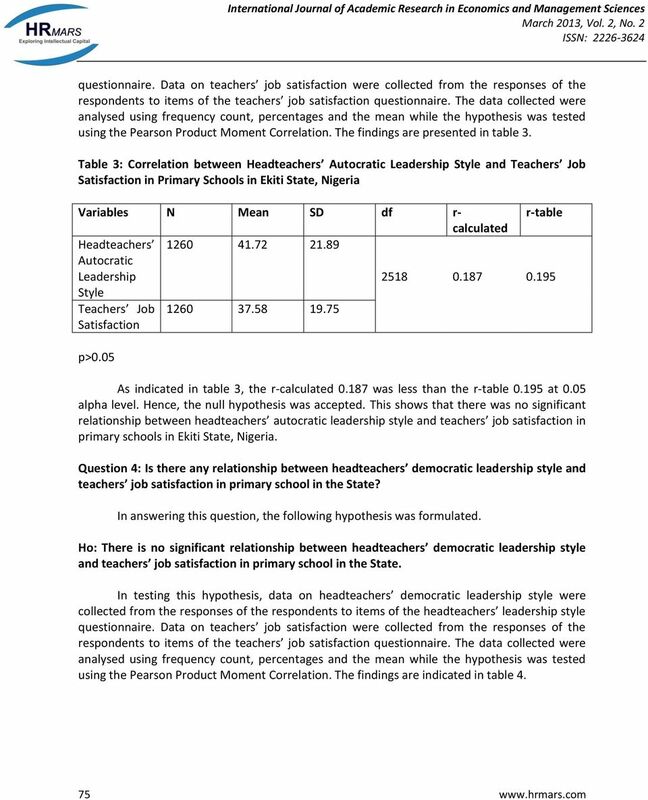 Download "Head Teachers Leadership Styles and Teachers Job Satisfaction in Primary Schools in Ekiti State, Nigeria"
PRIMARY SCHOOL TEACHERS KNOWLEDGE OF PRIMARY EDUCATION OBJECTIVES AND PUPILS DEVELOPMENT. 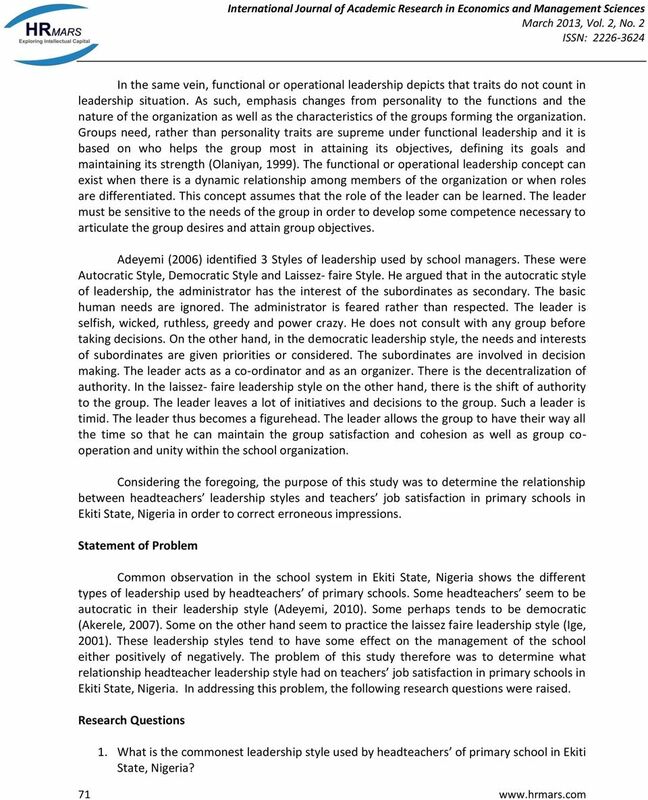 Adebola O. Jaiyeoba University of Ibadan. 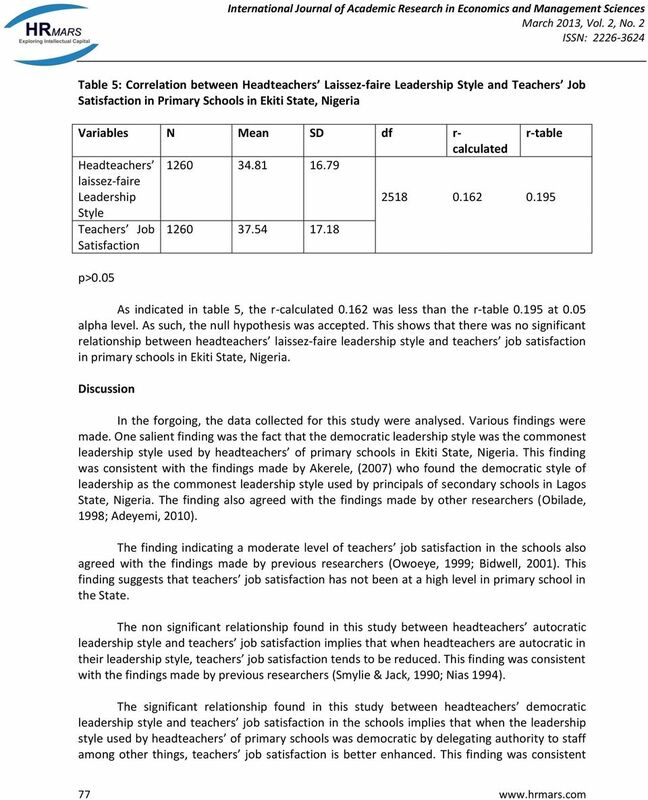 What Is the Relationship between Spiritual Intelligence and Job Satisfaction among MA and BA Teachers?